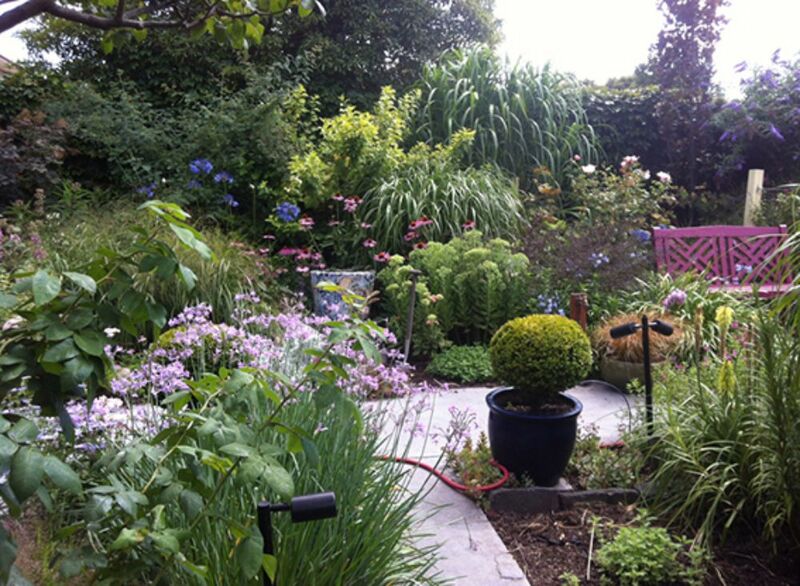 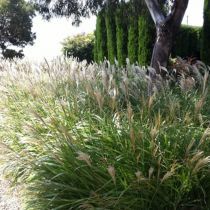 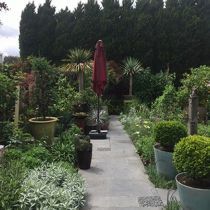 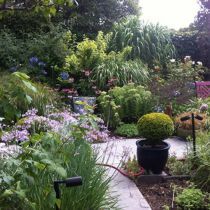 This is garden designer Sharon Harris’ own inner city garden. 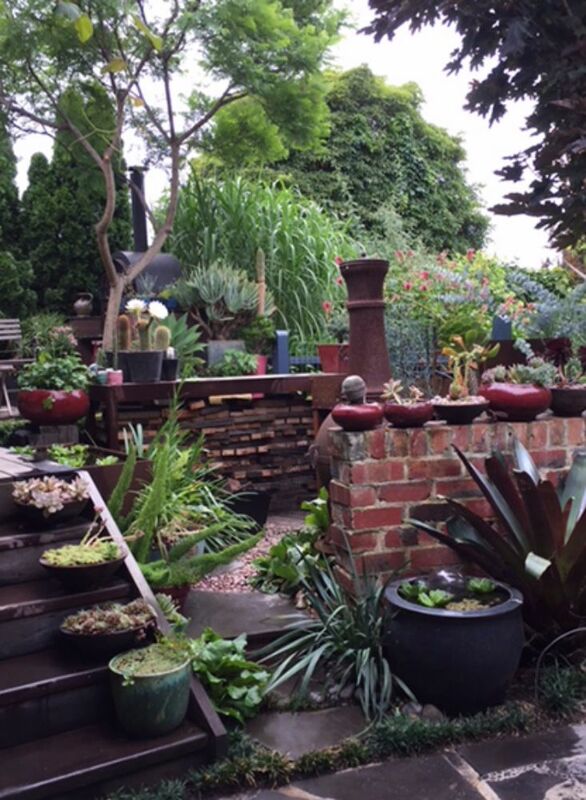 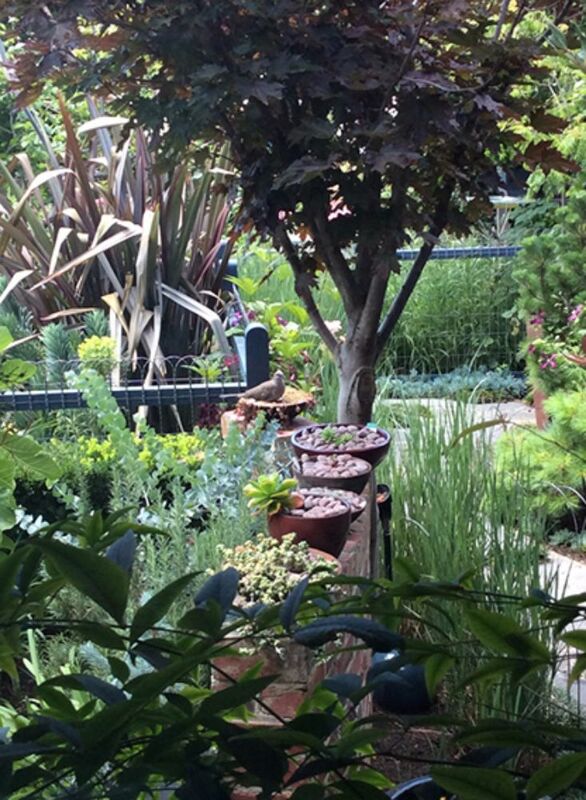 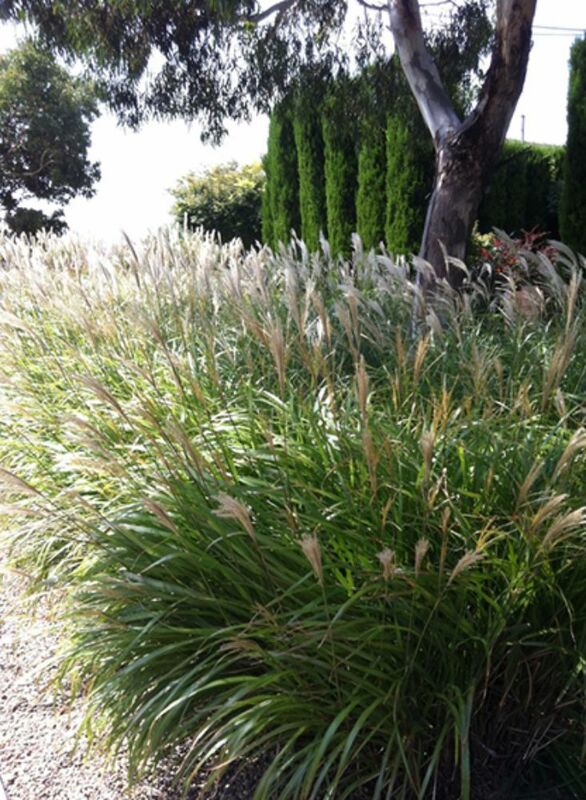 Sharon’s extensive plant knowledge and love of an eclectic variety of plant types is evident in this garden. 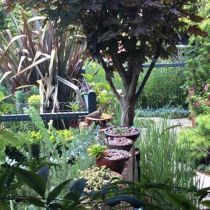 With the luxury to experiment in her own space, she has combined trees, succulents, perennials, grasses, bulbs, sub-tropical species, conifers and many other rare and unusual plants collected over the years to create original and unexpected pairings and interesting vignettes throughout the garden. 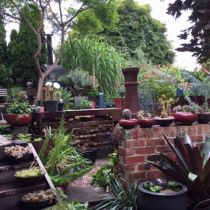 The garden is awash with foliage and flower colour throughout the seasons, augmented by garden art and other garden features that are often bold or multi-coloured. 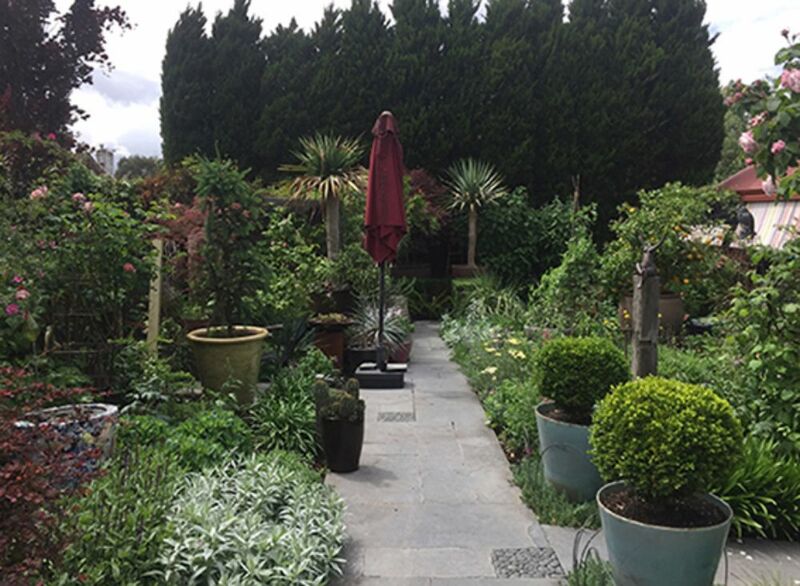 The garden is also a test site where Sharon has trialled new ideas such as a succulent wall, roof plantings, a wood fired BBQ and a cleverly disguised storage/utilities area. 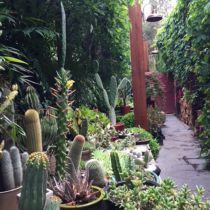 An abundant kitchen garden serves the owners’ love of cooking. 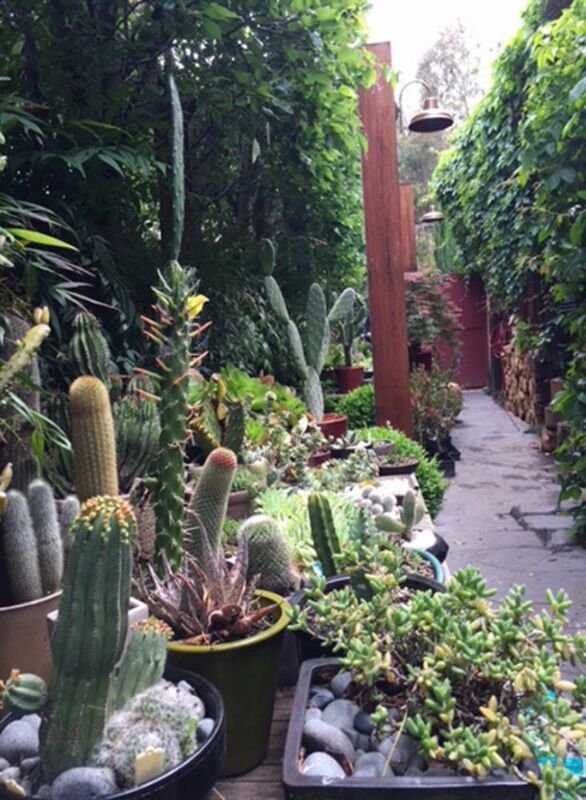 *Please note there are bee hives kept at this property.